Is It Okay To Buy Used Makeup? When makeup artist Xeng Zulueta received an email from a company inviting her to sell her used makeup via their online store, she was horrified. Upon checking the website, she learned that the company invites people to send their used branded makeup, which they will sanitize before reselling for a much cheaper price. The person who sends the makeup gets cash or store credits (to buy more used makeup) for every item sold. Like most people in the beauty industry, Xeng is aware that there are individuals who sell their “pre-loved” makeup online. But this was her first time to hear of an actual business that not only sells other people’s used makeup for a profit, but supposedly ties up with makeup brands that need to dispose their junk from last season. The company finally stopped pestering her after that. In the same way that the fake makeup market is getting out of hand, many people are selling their used makeup online. We’ve spotted them in online classified sites like Craigslist and Facebook groups. 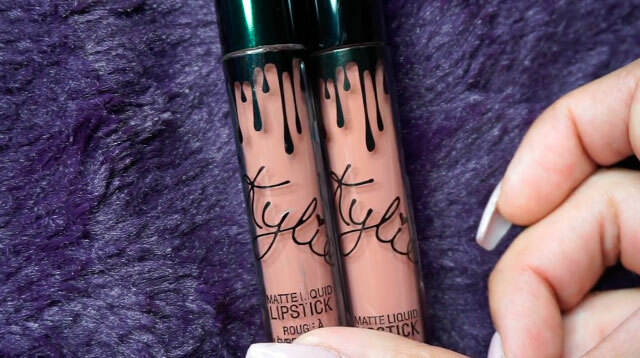 Some claim that the products are “gently used,” meaning they were previously used for swatching, but not on human faces. “What’s our guarantee?” asked Xeng. There are no home test kits to prove the sanitation of those products. Even eBay has decided to regulate the makeup black market. “Used cosmetics present some serious health and safety concerns because the products and applicators used to apply them often come into direct contact with the body. This is why we generally don’t allow the sale of used cosmetics on eBay,” their policy states. But this hasn’t stopped the increase of websites that specialize in reselling used makeup. There’s Glambot, an online retailer where sellers can trade their used branded makeup for cash or store credits, while buyers can purchase them for a steal—around 30 to 80 percent off the original retail price. Glambot claims that when you send them your used makeup, they have a five-step authentication and sanitization process, and they label each item depending on how much product is left by the previous owner—100 percent, 80 percent, 50 percent, and 30 percent. One of the questionable things about Glambot is that they post original catalogue photos of covetable brands like MAC and Kylie Cosmetics, and not photos of the actual used product. There’s MUABS, where sellers create online shops, upload their own photos of the used products, and then sell them to other registered users. MUABS gets a 10% fee for every item sold. Their terms and conditions state that the items sold are “as is,” meaning they have no control or liability on the conditions of the product you end up buying. And then there’s Poshmark, a fashion app that lets you shop from other people’s closets. They’ve expanded to include a beauty section. After Refinery29 published a report about Poshmark users trading and selling their used beauty products, Poshmark reached out to the editors to let them know that they do not support the sale of any beauty product that has been used or opened, and encourages its users to report these items. As for other online classified sites, they discourage people from selling illegal and questionable items—used makeup included. OLX, for example, regularly educates their users about responsible online commerce via their cybersecurity page. But that doesn’t stop beauty junkies from purchasing used makeup, as long as it means getting their hands on coveted brands for a cheap price. There’s a even a growing number of “dumpster divers,” beauty vloggers who lurk at the back of beauty shops like Sephora and Ulta, wait for employees to take out the trash, and then start rummaging through the trash bags to find partially used products that they can sanitize and use. We watched Glambot’s video that shows customers how they sanitize used makeup. It involves inspecting the product, wiping most areas with cotton balls, wipes, and cotton tips dipped in an unknown liquid cleaner. The makeup is then repackaged and sent to the buyer. “While some people claim to ‘clean’ makeup by spraying it with isopropyl alcohol, true sterilization can only be achieved through autoclaving, which involves a combination of steam heat and pressure reaching 212° Fahrenheit,” said Dr. Kara Melissa “Kami” T. Torres, Fellow, Philippine Dermatological Society. Allure magazine also reports that autoclaving is the only way to fully sterilize a beauty product, but this process would likely lead to discoloration, alteration of consistency, and other changes. In a published study (Giacomcel CB, 2013) that investigated the use of expired makeup and microbiological contamination, the analysis revealed a heavy growth of Staphylococcus aureus (a “normal” resident bacteria of our skin, but has the potential to cause other various infections) and in a minority, Pseudomonas aeruginosa (a bacterium that may cause hemorrhagic and necrotic skin diseases). What About Testers and MUA Products? Whenever you book a makeup artist, the way they present their makeup station and clean their products before, during, and after a makeup session says a lot about their training. “[When I took professional makeup classes], we were always taught to clean our brushes after every client, use disposable sponges, and always reach for a clean spatula to scrape out creams and avoid double-dipping,” shared Nicole Romero, beauty editor-turned-blogger. As for the free-for-all makeup testers displayed in beauty counters and makeup shops, your best bet is not to test them on your face at all. Xeng suggests swatching testers on your inner forearm. “This is the best spot to see if you’ll have allergic reactions or sensitivity to the products. You’ll see payoff, color, and texture as well,” she said. What if you find yourself on the receiving end of a friend or relative’s slightly-used makeup? Are hand-me-downs from loved ones safe to use? Even with these precautions and even if you check the expiration date of the makeup, who can say exactly how the previous owner stored and used them? What temperatures were the products exposed to? What external contaminants and bodily fluids got in contact with the beauty products, whether knowingly or unknowingly? What more if it comes from a stranger selling it online. “Would you borrow lipstick from a person with recurrent orolabial herpes infection? Would you borrow foundation from a person with pustular acne? Probably not,” said Dr. Torres. “I know that getting the latest makeup find or owning something from a hot brand can boost your kikay kit’s cool factor, but believe me, the germs that could be secretly lurking (and multiplying!) beneath those powders and lippies are never worth it,” Nicole said.